At Clear Medical, we offer eyebrow laser hair removal shaping treatment. This involves carrying out hair removal of dark hairs (at monthly intervals) until your happy with the appearance. A patch test is essential 5 days prior to your first treatment. If you are plucking every day, every few days or attending regular threading sessions, you may want a solution. Also, some clients simply want the rate of growth to be slower, allowing them more time between alternative methods. You may want the growth of the hair to be thinner, therefore barely visible and more natural looking. Because alternative methods in comparison, yield an untamed look between sessions (waxing, threading or plucking). Some individuals simply never want to wax, pluck or thread ever again; wanting nicely shaped brows for the foreseeable future. 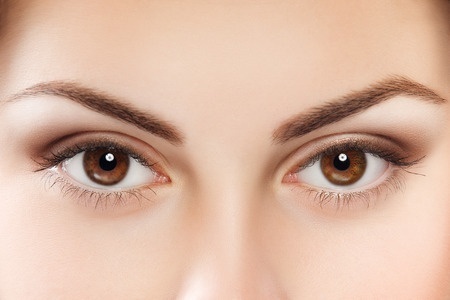 You can have the lower area of both eyebrows treated with the laser for £75. This includes the middle of your brow if required. We can treat the area above both eyebrows, including the middle of the brow. Again, the eyebrow laser hair removal cost for this would be £75. You can have a full eyebrow laser shape for £100. During this treatment, we remove the eyebrow hairs underneath the brow and above. This also includes the middle of the eyebrow if required. Full face laser hair removal doesn’t include laser eyebrow shaping. A seperate fee is payable. For more information on the Laser Hair Removal Method at Clear Medical, please see our laser hair removal information.